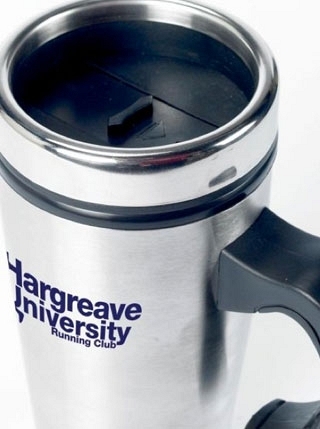 Promotional Mugs Are Everyone's Cup Of Tea! Promotional mugs and bottles are a classic promotional gift. A feature of every office, how many people can go a day without their morning coffee, afternoon tea or mid-morning caffeine hit?! Providing your customers and clients with their very own promotional mug will ensure your company is a prominant part of their desk for years to come. Take a look at your own desk; when was the last time you changed your mug? Investing in promotional mugs will afford your advertising message this longevity on a cost-effective and long-lasting product; for cost per use, the promo mug is hard to beat! From ceramic earthenware mugs and insulated travel mugs, to china mugs and plastic options, we have a mug to suit every budget, need and advertising message. Our huge range are manufactured to the highest of quality. Your branded message or logo printed on a quality mug will bring your next campaign great success. 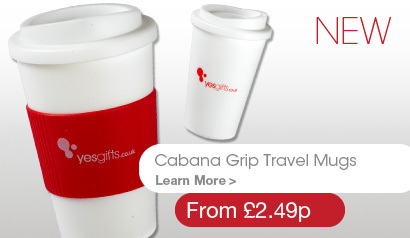 Fill in a rapid quote form or call 0844 251 0394 and speak to one of our promotional mug specialists today!